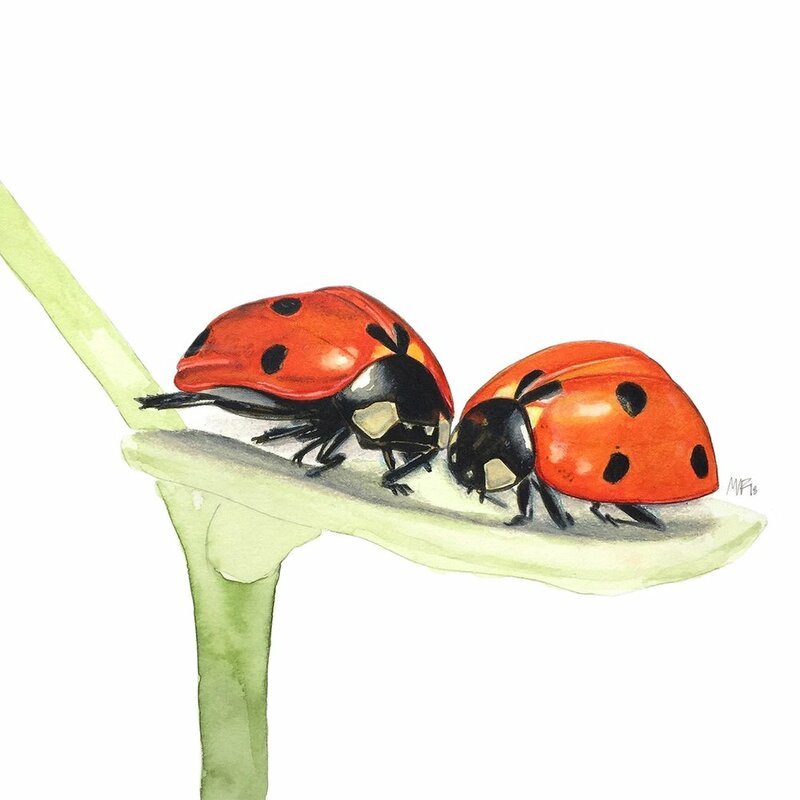 Naturalist illustrations dedicated to insects and wildlife in their natural habitat. 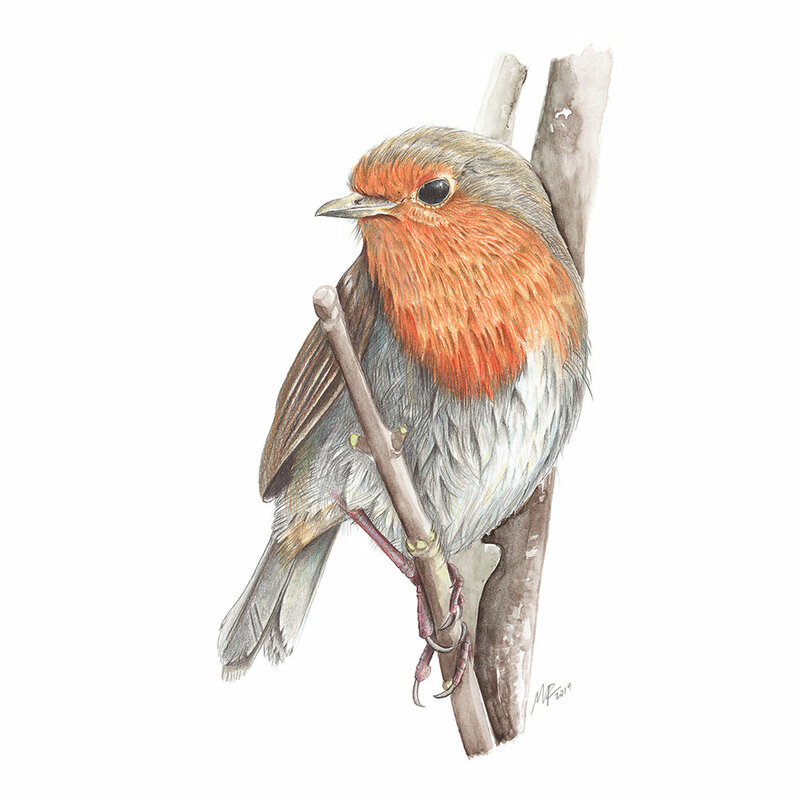 Scottish red robin (Erithacus rubecula). A couple of cuddling ladybirds (Coccinellidae).